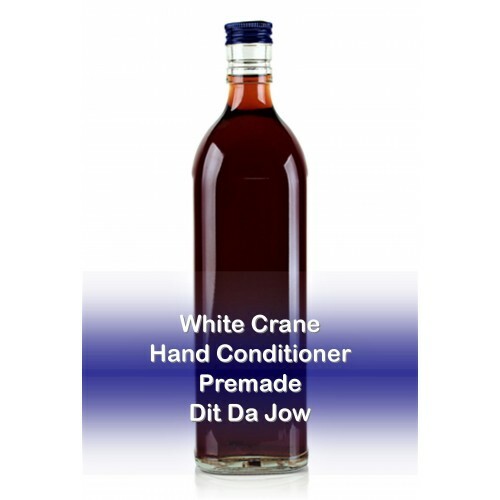 The White Crane Hand Conditioner is used by practitioners of the Southern Chinese Kung Fu Style, whose famous female founder Fang Chi Niang is also credited with inventing this highly effective dit da jow. The White Crane style which originated in Tibet is one of the oldest classical styles whose lineage can be traced back to Bodhidharma and the Shaolin Temple. 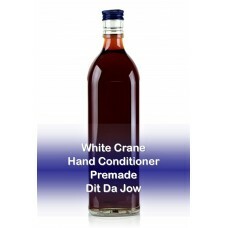 This is indeed a powerful well-balanced jow that uses chuan wu tou, di gu, lou lo, hua fu shi, etc. 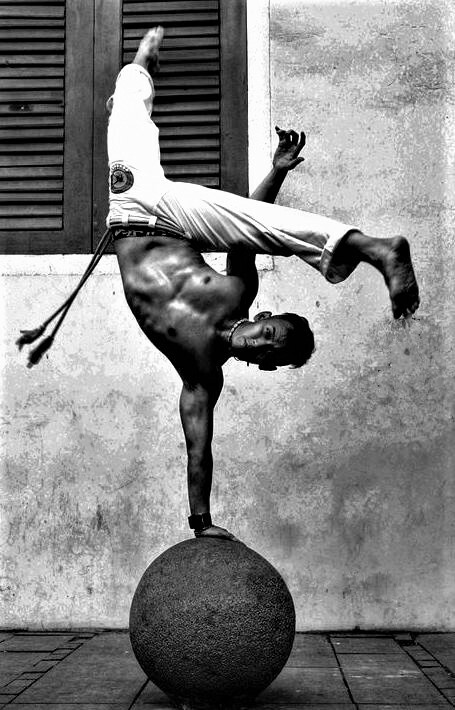 The White Crane jow has a highly respected reputation among martial artists. It contains herbs that are considered essential for preventing injury and lessening the possibility of developing long-range negative side effects such as arthritis in the hands, wrists, fingers, and joints that can occur as a result of repetitive striking.